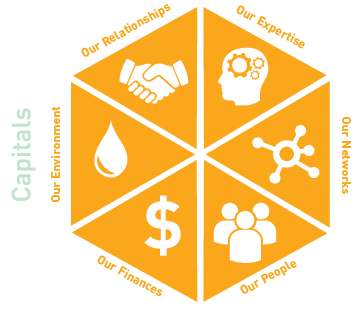 Our first strategic goal – Grow – is more relevant and important today than ever. In the past 12 months we’ve seized some exciting opportunities to grow our business, always with the aim of delivering more value to our existing customers, enticing and securing new customers and ultimately generating the kind of brand loyalty you just can’t buy. 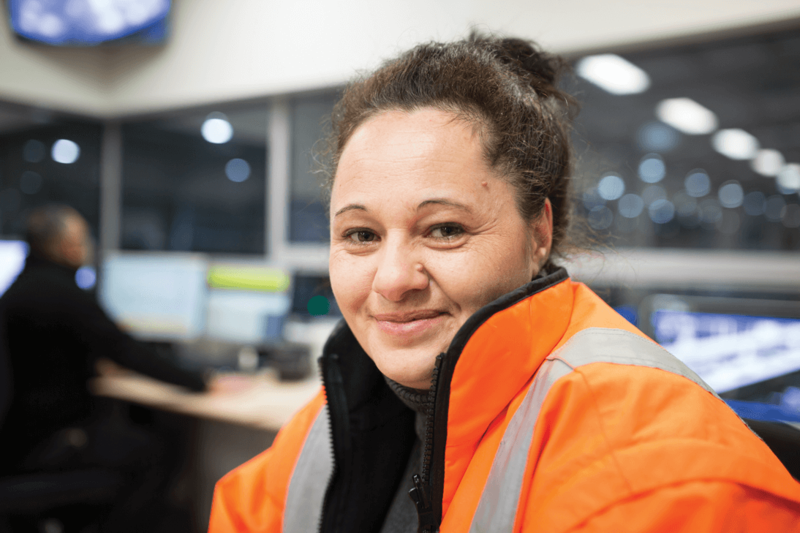 We’ve invested in new people, new infrastructure and new ways of working, and the results are beginning to bear fruit. We have a smarter, more streamlined operation and we’re making it easier and more enjoyable for our customers to do business with us – a combination that provides a strong launch-pad for growth in customer numbers, customer satisfaction and the profitability of our business. Reducing our costs, simplifying our operations and achieving the significant efficiency gains of a ‘one service’ operating structure. The journey began last year with a restructure of our provincial sites; each site now has a single leader responsible for all mail and parcels business, who is supported by an integrated administration and support team. 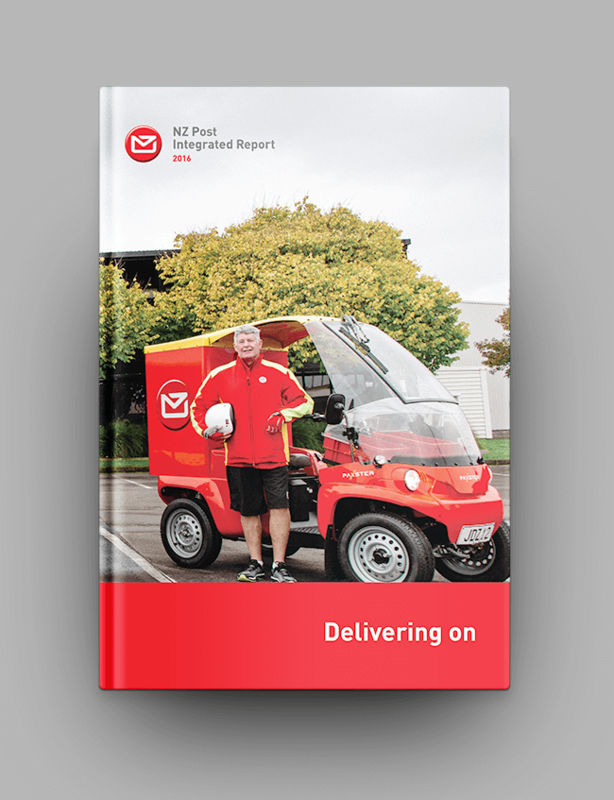 In 2015/16 we continued this consolidation, blending the mail and parcels senior leadership roles at the corporate level and making great progress in physically co-locating our mail and parcels teams. 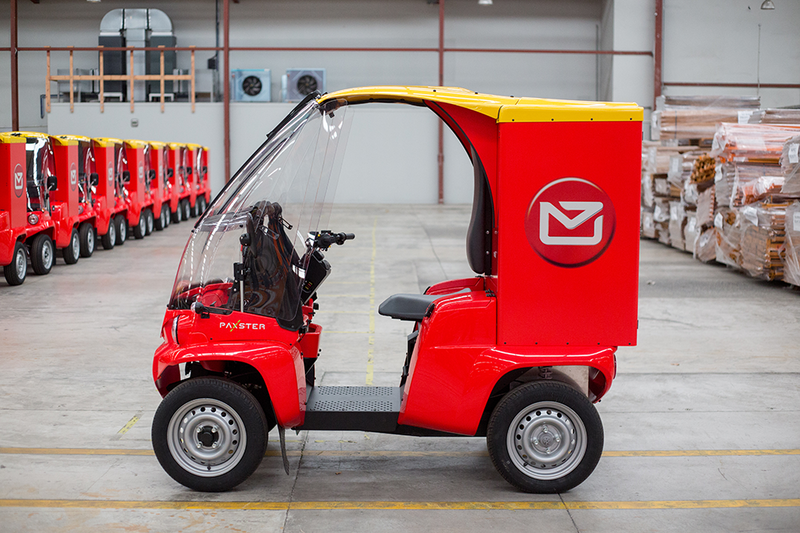 In 2014/15 we piloted the use of four-wheeled electric vehicles for delivering mail and parcels to residences in New Plymouth. The pilot demonstrated the feasibility and value of combining the postie and courier positions in a single integrated delivery agent (IDA) role in primarily residential areas. It also highlighted a new service opportunity: with less mail being left in letterboxes and more parcels delivered to front doors, IDAs can be ambassadors for our brand – building closer, stronger customer relationships through face-to-face interactions, and ultimately growth for our business. We’ll be designing and implementing the new IDA role in the coming year and, as a result of the pilot, have invested in new electric vehicles that will be gradually deployed in larger centres nationwide. In the past couple of years we’ve enhanced our mail and parcel processing systems with the aim of reducing costs, streamlining operations and using technology to provide better service to our customers. The improvements have been particularly important for business customers who use our mail and direct mail services (personalising, printing, addressing and distribution), who have stringent requirements for data integrity, accuracy and production security. 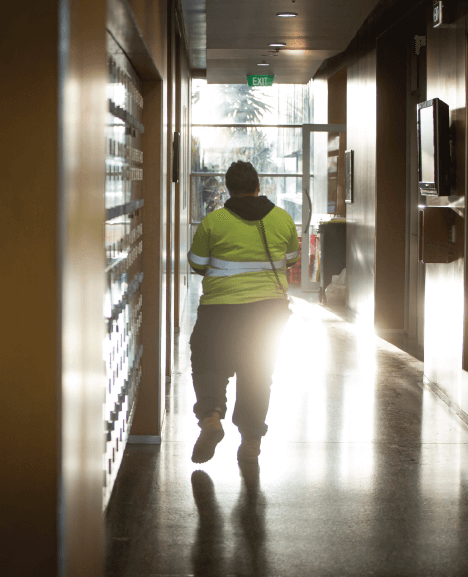 In June we completed our new Waikato Operations Centre at Te Rapa, and in March started the construction of our new Southern Operations Centre at Christchurch International Airport. 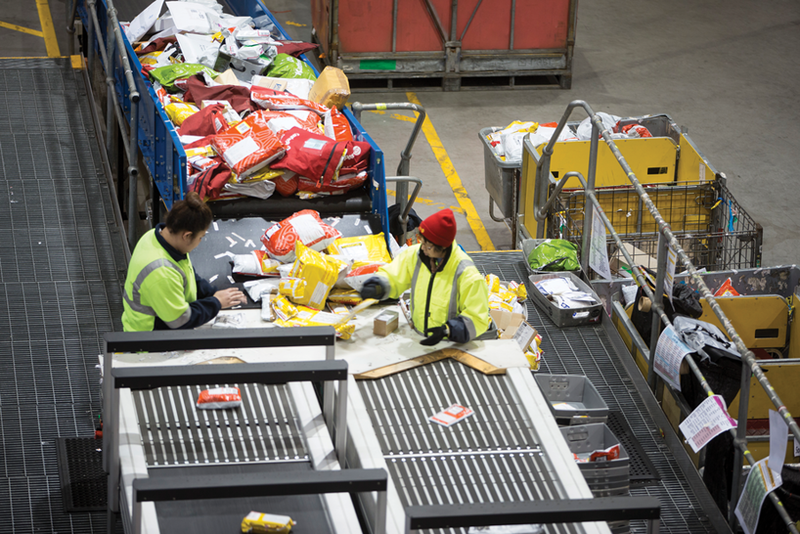 When it’s complete the Southern Operations Centre – a purpose-designed parcel-distribution hub – will feature the latest in sorting and dispatching technology. For our customers there will be faster, more accurate processing, increased security and better track’n’trace visibility, and for the delivery team it will eliminate time-consuming manual sorting duties, freeing them up to focus on their customer service roles. Our ability to transport mail and parcels around New Zealand was boosted in 2015/16 with the introduction of three Boeing 737-400 freighter aircraft as part of a new shared air network. The new aircraft, which are faster, have more capacity and are more reliable than their ageing predecessors (a 737-300 freighter, two Fokker F27 Friendships and three Metroliners), have reduced our costs and enabled a rapid, reliable, overnight delivery service – all good news for our customers. The first aircraft started service in December 2015 and all three became operational by August 2016. We’re a conduit for New Zealand businesses wishing to sell their products in China, which is now the world’s largest parcels market by volume. Through partnerships with China Post and other delivery agencies, connections to online platforms such as Alibaba’s Tmall.com, and alliances with facilitators such as Entrance8 – which offers a unique local China presence – we’re helping Kiwi businesses to access the vast opportunities of this $210 billion market (see the Entrance8 case study for more on this). We expect continued growth in all these areas in 2016/17. We’ve recently appointed a dedicated representative in Europe and will be putting a lot of effort into the US. These are both tough markets to crack, but they offer huge potential for agile, cost-competitive and connected businesses like ours. We’re also expanding into new China marketplaces, such as ecommerce giant JD.com, Kaola and Baby Tree, and have dedicated support in Asia to help us build relationships with existing and prospective Chinese and Southeast Asian customers. And back at home, we continue to invest in our technology infrastructure to enable more online and real-time transactions. Continue engaging with our people to achieve the changes that are so vital to our long-term success.